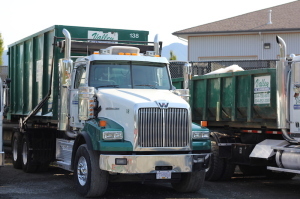 With a selection of container sizes ranging from 6 to 40 yards (6, 12, 20, 30 or 40 yards; 40 yards being the most popular option for our customers), Valley Waste is the leading provider of temporary and permanent roll off waste service in the Fraser Valley and the Lower Mainland. Our containers are ideally suited for construction sites, household and yard waste, home renovations, disaster relief, flood and fire restorations and contaminated site cleanup. We strive to make the service process simple and prompt – ensuring the required bins are delivered to your requested destination on time, and provide hassle-free pick-up on a predetermined or on-call basis. Whether it’s for a long term project, weekly waste removal or a single day job, our qualified team will make sure your waste collection and removal needs are met. 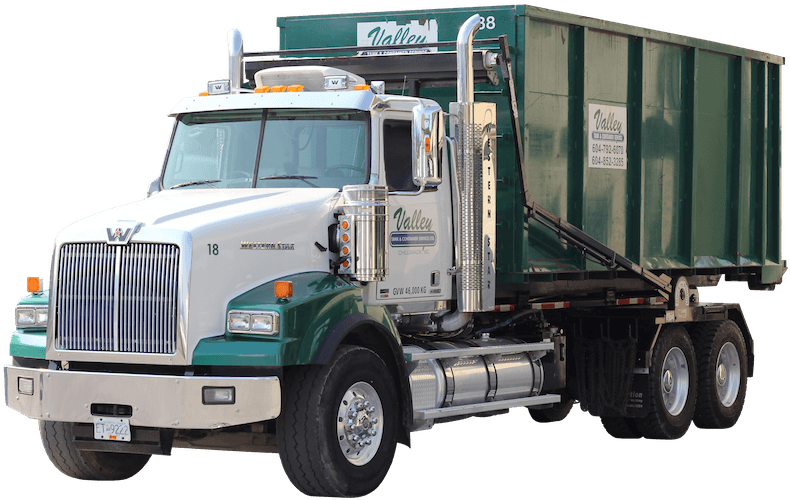 Call us toll-free at 1-855-892-6070 or fill in the form below to request a bin. What Are The Sizes Of Your Bins? Our 40 yard bin is our most popular sized bin. Fill in our quote request form below, or call us for pricing (based on per ton rate, delivery & removal dates). What Can I Throw In The Bins? * It’s costly to get rid of drywall. If you’re renovating and getting rid of drywall, we need a clearance letter from a certified remediation company to ensure there’s no asbestos in the drywall.